May is National Scrapbooking Month, but if you are a Close To My Heart customer, you can celebrate early. Beginning April 15th, you can get this fabulous kit! You’re gonna love our Tickled Pink scrapbooking kit designed exclusively for National Scrapbooking Month in May. 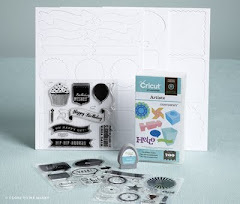 Our newest scrapbooking kit puts you front and center in your pages—with everything you need to create two beautiful two-page layouts all about the things that you love and that make you shine. And speaking of shine, you’ll also be tickled by the kiss of glitter on these fabulous papers! Host a Home Gathering between April 15-May 31 with minimum sales of $400 and receive a kit FREE.